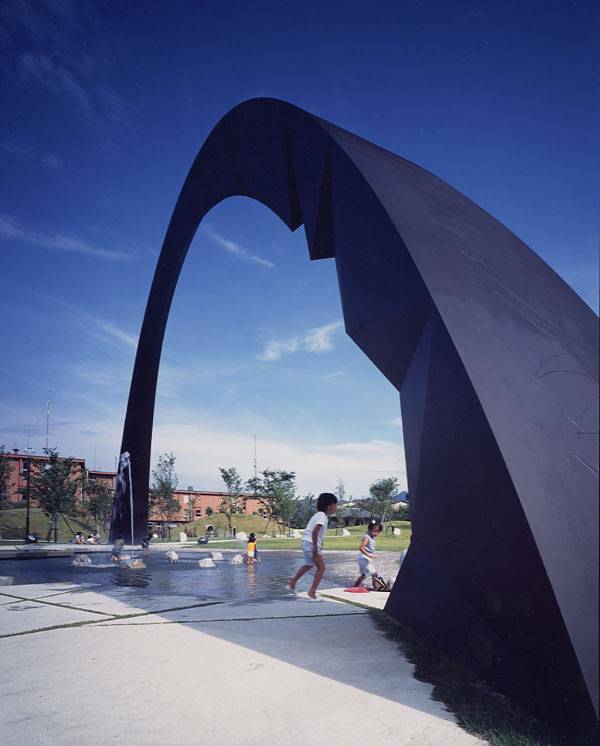 Saiki Peace Memorial Park, by Earthscape / Noom Architects, in Tsuruyamachi Saiki-city Oita, Japan. Memorial parks are designed as symbols of great tragedies, being a powerful reminder of humanity and how we should all stand together in the face of a tragedy. 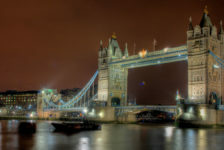 They should not represent a reason for being sad but rather a way to look and hope for the future. 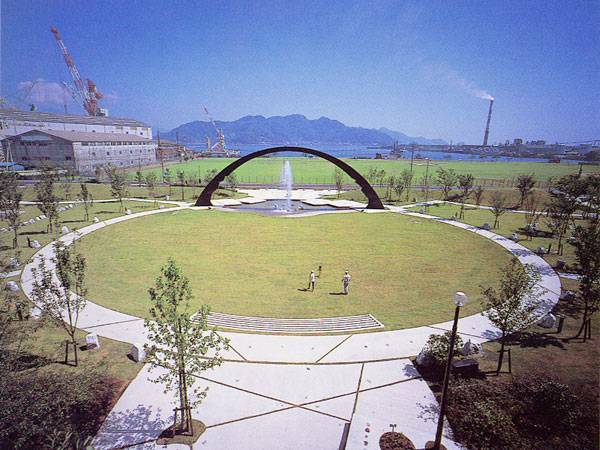 Saiki Peace Memorial Park, located in Japan, is a clear example of how such a creation can become the symbol of a city. It unites the local community, helping the future generations understand a bit of their history as well. 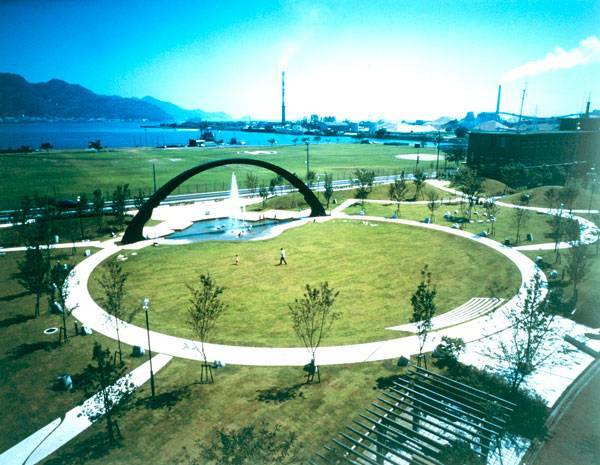 The memorial park, like many others of its kind, has become a part of the Japanese culture, being based on the powerful connection between man and nature. How did the project come to be? 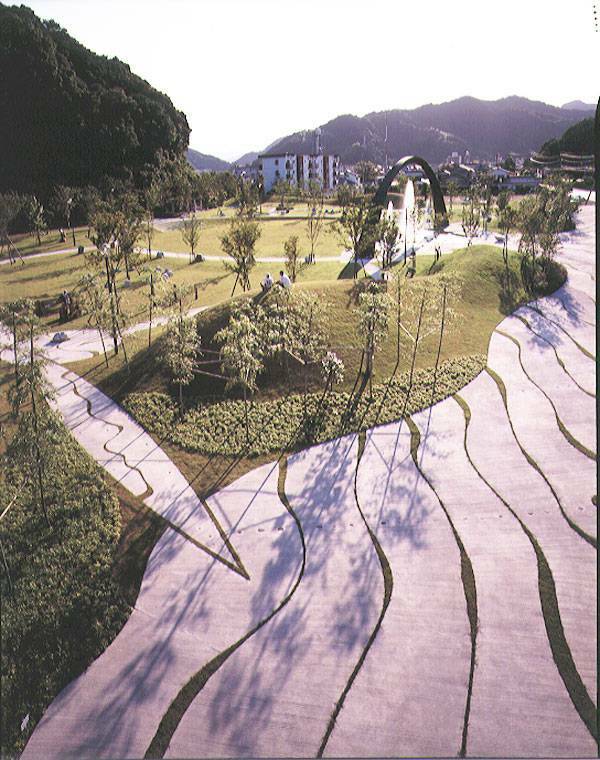 The talented landscape architects from Earthscape, led by ingenious director Eiki Danzuka, used the elements of nature in order to create this beautiful memorial park. 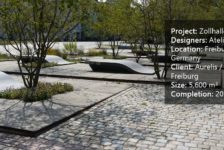 The idea was not only to create a space that stands as a symbol of peace but also to allow people the opportunity to relax and enjoy a new green space. 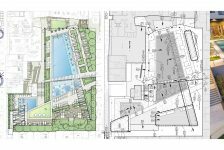 It was just as important for the memorial park to serve the collective memory as it was to have a high functionality level, providing residents of the area with a new space to enjoy the open outdoors. 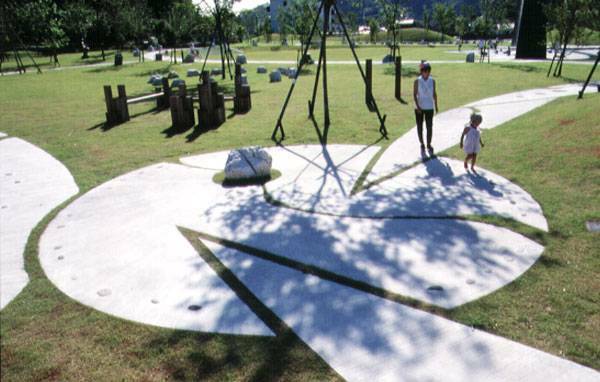 Geometric shapes intersecting with elements of nature The design of the memorial park is simple yet beautiful. From the start, you have the sense that you are in a large open air space, covered by lots of grass. Nature is resplendent in this memorial park and it is all due to the efforts of talented people. 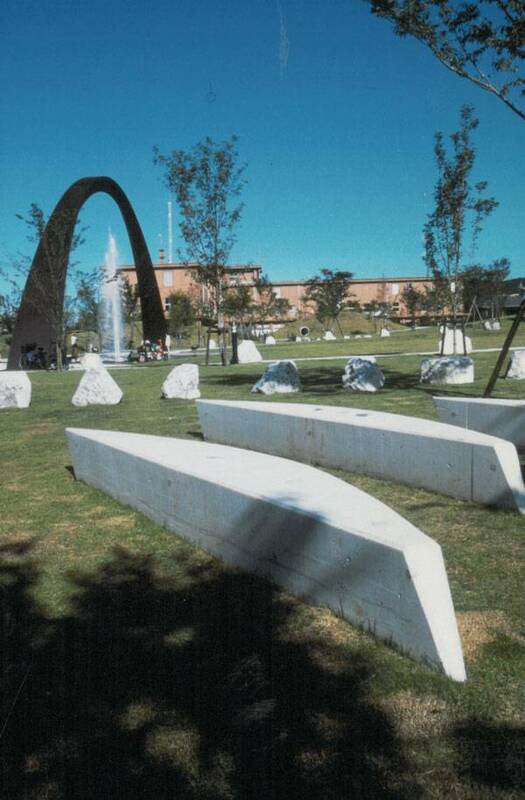 The memorial park presents several main spaces, all of them being defined by an interesting choice of geometrical forms. In order to add to its already mathematic-like structure, white paths have been chosen to cut the park from place to place. Keeping the Geometry Simple All elements chosen for the creation of this memorial park seem to come together, adding to the overall aesthetic appeal. The pathways are simple and elegant, being adorned with pleasing elements, such as river boulders or bout forms. All of these decorations are meant to stand as an abstract interpretation of the natural flow patterns that are found in Saiki. 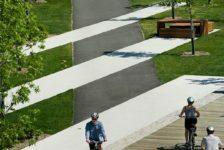 Geometry has always served as inspiration for the field of landscape architecture and this memorial park does not make an exception from that rule. 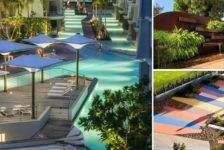 Inspiration for movement comes from the harmonious blend of elements The elements of nature are intertwined of elements that belong to the human hand, such as mounds, pools and monuments. 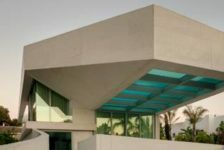 All of these elements have been chosen not only for the aesthetic appeal but also with the purpose of forming a harmonious whole. 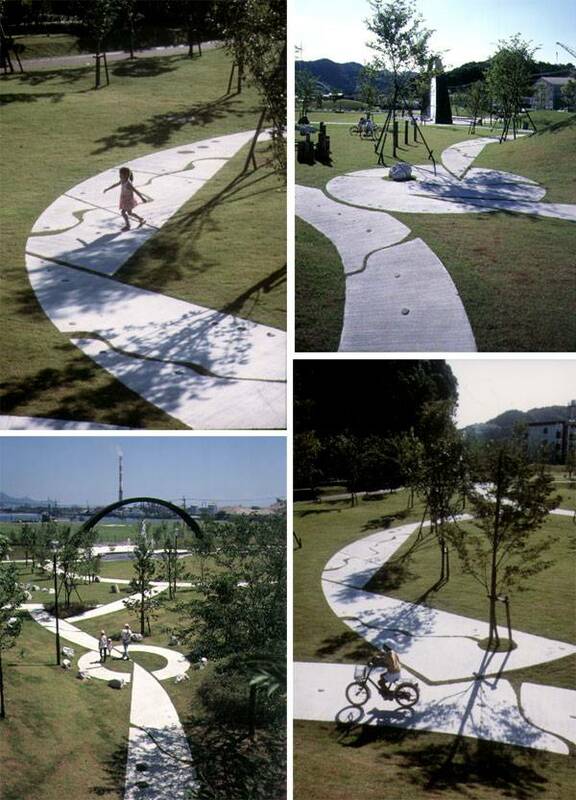 The selection of elements included in this memorial park stimulates movement, whether we are talking about children playing in the water located below the beautiful arcade or adults riding their bikes on the geometrical pathways. A Memorial That Embraces Activity The park inspires you to stay active and enjoy movement above all else, which is something quite important in today’s modern world. The pathways allow you to travel to all of the areas of the park, feeling inspired and making you think at the same time. Young trees provide bits of shade from place to place, stimulating children in playing in these parts of the park as well. Looking at it, it is impossible not to feel an immense respect for the people who have worked on the project and how they have created something truly amazing. 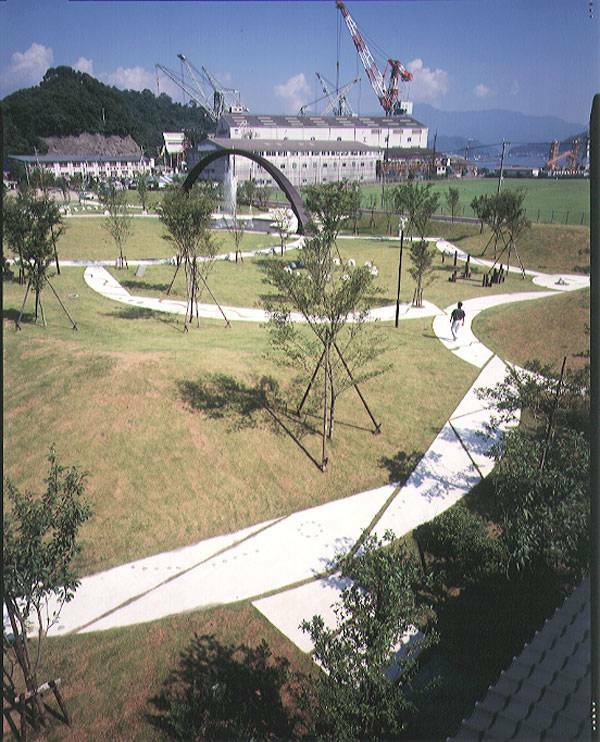 In conclusion, Saiki Peace Memorial Park is a project that is inspiring from all points of view. 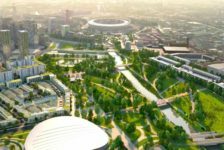 It may stand as a symbol of a tragedy but, as it was already mentioned, the main desire behind such projects is to encourage existent and future generations to look into the future. 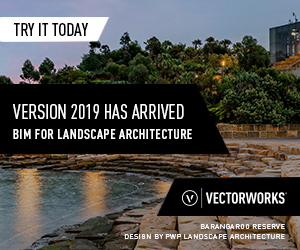 At the same time, it is an excellent creation of a talented team, demonstrating that landscape architecture can draw its inspiration from the most unbelievable sources. How about you? 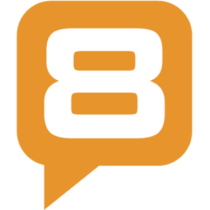 Can you name other similar projects and why they have spoken to you?